Nicholas Sparks has become known as the king of love stories. 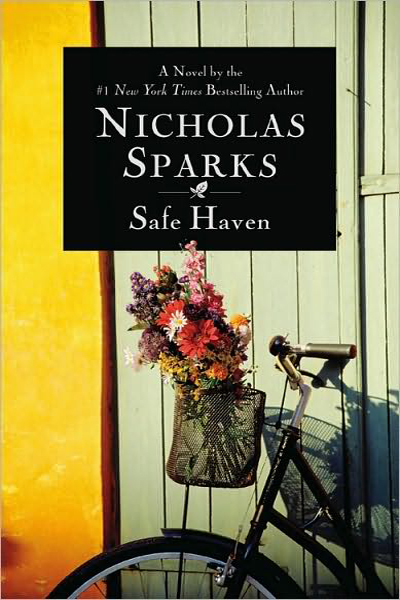 In his novel, Safe Haven, he tells the story of a young woman looking for a fresh start. Katie has moved to the small North Carolina town of Southport. She finds a small, cozy cottage to live in and she begins working as a waitress at the local diner. Southport is a quiet southern town that suits Katie well. Her aim is to live a quiet life and leave her past behind. As she goes about her daily activities, Katie encounters a local shop owner. Alex is immediately interested in this mysterious, attractive young woman. He is a widower raising two small children on his own. He perceives that Katie has been through a lot in her life. Slowly, a friendship is cultivated and a romance ensues. Katie and Alex are very cautious with their hearts. Despite their initial apprehension, they fall in love. It is a heartwarming romance. Regardless of Katie's efforts to leave her past behind, it comes back to haunt her. The past threatens her chance for happiness with her new love, Alex. In the end, their love prevails against all odds. At first glance, Safe Haven may sound like just another love story. However, Nicholas Sparks has such a gift for engaging the reader in the story. The way the characters come to know each other and fall in love is captivating. Sparks weaves in the story of Katie's past throughout the novel and grips the reader's attention. This technique was reminiscent of another beloved Sparks novel, A Bend in the Road. As readers are given brief glimpses into the past, our interest is piqued. Safe Haven reminded me very much of the 1991 psychological thriller film, Sleeping With the Enemy, starring Julia Roberts. I enjoyed this novel very much. My only criticism is for the ending. I was not a fan of the implications at the end. I don't want to give it away, so I'll say no more. Judge for yourself. Overall, I give this book "two thumbs up." Use these Barnes and Noble coupons. Yet another movie based on one of Starks' best selling books is scheduled to hit theaters. The Lucky One is currently in production and is set to release on August 24, 2012. The movie stars Zac Efron as a Marine who survives three tours of Iraq, attributing his good luck to a photo he carried of a woman he doesn’t even know. When he returns to the U.S., he sets out to find her. Scott Hicks is directing; Taylor Schilling also stars. Denise DiNovi and Kevin McCormick are producing. I am sure that this love story will not disappoint. I eagerly await this release. It will be available at www.thequalitycorner.com mid-October. For the past twenty-five years, Michael Pollan has been writing books and articles about the places where nature and culture intersect: on our plates, in our farms and gardens, and in the built environment. He is the author of four New York Times bestsellers: Food Rules: An Eater’s Manual (2010); In Defense of Food: An Eater’s Manifesto (2008); The Omnivore’s Dilemma: A Natural History of Four Meals (2006) and The Botany of Desire: A Plant’s-Eye View of the World (2001). The Omnivore’s Dilemma was named one of the ten best books of 2006 by both the New York Times and the Washington Post. It also won the California Book Award, the Northern California Book Award, the James Beard Award, and was a finalist for the National Book Critics Circle Award. A young readers edition called The Omnivore’s Dilemma: the Secrets Behind What You Eat was published in 2009. The Botany of Desire received the Borders Original Voices Award for the best non-fiction work of 2001, and was recognized as a best book of the year by the American Booksellers Association and Amazon.com. PBS premiered a two-hour special documentary based on The Botany of Desire in fall 2009. Pollan is also the author of A Place of My Own (1997) and Second Nature (1991). Pollan was named to the 2010 TIME 100, the magazine’s annual list of the world’s 100 most influential people. In 2009 he was named by Newsweek as one of the top 10 “New Thought Leaders.” A contributing writer to The New York Times Magazine since 1987, his writing has received numerous awards: he was a finalist for the National Magazine Award in 2009 for best essay; he received the James Beard Award for best magazine series in 2003; the John Burroughs prize in 1997 for best natural history essay; the QPB New Vision Award for his first book, Second Nature; the 2000 Reuters-I.U.C.N. 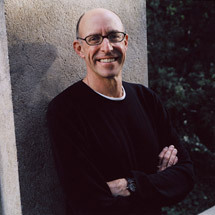 Global Award for Environmental Journalism for his reporting on genetically modified crops; the 2003 Humane Society of the United States’ Genesis Award for his writing on animal agriculture; the 2008 Truth in Agricultural Journalism Award from the American Corngrowers Association; the 2009 President’s Citation Award from the American Institute of Biological Sciences, and the 2009 Voices of Nature Award from the Natural Resources Defense Council. His essays have appeared in many anthologies, including Best American Essays (1990 and 2003), Best American Science Writing (2004), the Norton Book of Nature Writing, and The New Kings of Non-Fiction, edited by Ira Glass. In addition to publishing regularly in The New York Times Magazine, his articles have appeared in Harper’s Magazine (where he served as executive editor from 1984 to 1994), National Geographic, Mother Jones, The Nation, The New York Review of Books, Vogue, Travel + Leisure, Gourmet, House & Garden and Gardens Illustrated, among others. In 2009, he appeared in a two-hour PBS special based on The Botany of Desire as well as in the documentary, Food Inc., which received an Academy Award nomination. In 2003, Pollan was appointed the John S. and James L. Knight Professor of Journalism at UC Berkeley’s Graduate School of Journalism, and the director of the Knight Program in Science and Environmental Journalism. In addition to teaching, he lectures widely on food, agriculture, health and the environment. Michael Pollan, who was born in 1955, grew up on Long Island, and was educated at Bennington College, Oxford University, and Columbia University, from which he received a Master’s in English. He lives in the Bay Area with his wife, the painter Judith Belzer, and their son, Isaac. What should I eat? What kind of food should I eat? How should I eat? These are questions we all face daily. It has become increasingly difficult to find the answers. Michael Pollan addresses these questions in his book, Food Rules. Pollan has developed a concise list of rules to live by when it comes to eating. He has created an "eater's manual." In the introduction he explains why eating has become so difficult. He admonishes the reader to take the time to make wise choices about food. He also provides statistics that highlight the importance of taking our health seriously. The introduction really whet my appetite for the rules that followed. The book was very easy to read and even comical at times. I found myself chuckling at the simplicity of the rules. Eating is needlessly complicated nowadays. If we get back to the basics, we can take control of our diet and our health. The rules that stuck with me the most were regarding processed foods. Rule #2 - "Don't eat anything your great-grandmother wouldn't recognize as food." I love that! It's so simple yet profound. It all boils down to three basic rules - eat food, mostly plants, and not too much. 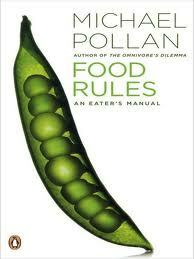 As a result of reading this book, I have created my own personal list of food rules. This book has changed the way I think about food. I believe that I will be a healthier person after reading this book and I am very grateful. Kimberla Lawson Roby is a New York Times bestselling author and has published 15 novels. Her novels have frequented numerous bestseller lists, including The New York Times and those in USA Today, The Washington Post, Publishers Weekly, Essence Magazine, Upscale Magazine, Emerge Magazine, Barnes and Noble, Amazon.com, Wal-Mart, The Dallas Morning News, and The Austin Chronicle. Kimberla’s first novel was nominated for Blackboard’s 1998 and 1999 Fiction Book of the Year Award, and she received the Blackboard Fiction Book of the Year Award in 2001 for Casting the First Stone. She is also the 2006, 2007, 2009, and 2010 recipient of the Author of the Year – Female award presented by the African-American Literary Award Show in New York, the recipient of the 1998 First-Time Author Award from Chicago’s Black History Month Book Fair and Conference, and her fifth novel, A Taste of Reality, was a 2004 finalist for the Atlanta Choice Awards sponsored by the Atlanta Daily World. Each of Kimberla’s novels has dealt with very real issues, including social status, gambling addiction, infidelity, single motherhood, infertility, sibling rivalry and jealousy, domestic violence, sexual abuse, caregiving of a parent, racial and gender discrimination in the workplace, sexual harassment, overweight issues, and female illnesses to name a few. Kimberla resides in Illinois with her husband, Will. Her 16th novel, Secret Obsession, was released today. My review of Secret Obsession can be read here. Kimerberla Lawson Roby has just released her latest riveting novel, Secret Obsession. In it she explores a very complicated illness - delusional disorder. Delusion has been defined as "a fixed false belief that is resistant to reason or confrontation with actual fact." A person that is delusional is beyond reasonableness and sensibleness. It is a very dangerous state that can lead to obsession. Paige Donahue is a picture of obsession. She has always lived in the shadow of her sister, Camille and Paige is consumed with jealousy. Camille has always excelled and she now has everything that Paige wants - a loving husband, children and all of the material comforts the world has to offer. Paige becomes obsessed with ruining her sister's marriage and gaining the love of her brother-in-law. She develops a plan, puts it in motion and is determined to let nothing or no one stand in her way. Roby does an excellent job painting a picture of desperation in the main character. I could feel the utter hopelessness in Paige and she sincerely felt that there was only one solution - to ruin her sister. As I read this story, I could clearly see that Paige was delusional and I wondered how someone could be so far from reality. Roby really grips the mind and heart of the reader. I was so enthralled with this novel, I couldn't put it down. I read it quickly and eagerly. I couldn't wait to find out how Paige's plan turned out. This book was very entertaining and it also made me think. It was very tastefully written and maintained dignity throughout. I would recommend this novel to anyone who would like to curl up with a good book this fall.